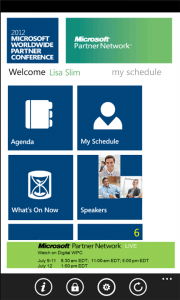 The My WPC 2012 application is now available on the Windows Phone Marketplace for download. 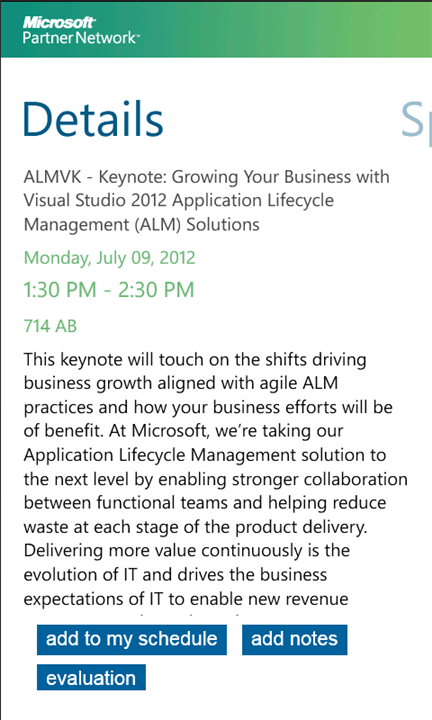 The application has become available just in time for Microsoft’s Worldwide Partner Conference 2012 in Toronto. The event is officially set to run from July 8th to July 12th. 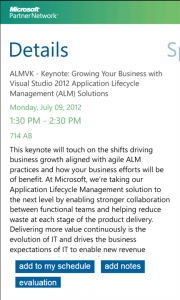 The application gives event schedule information, speaker biographies, session abstracts, and more. 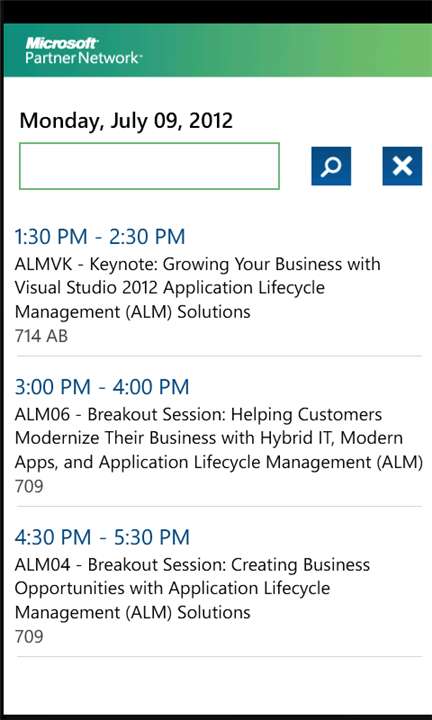 Using the My WPC 2012 application, you can even participate in contests and complete session evaluations. Transportation information, maps, and hotel information are also available to make sure you also make it to the event to begin with. 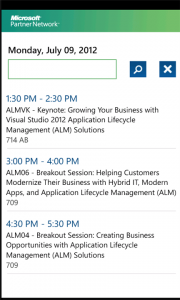 – Access your existing WPC 2012 schedule that you created in WPC Connect or begin creating your schedule. – Find out more information about all scheduled sessions, including access to session abstracts, speaker bios, etc. 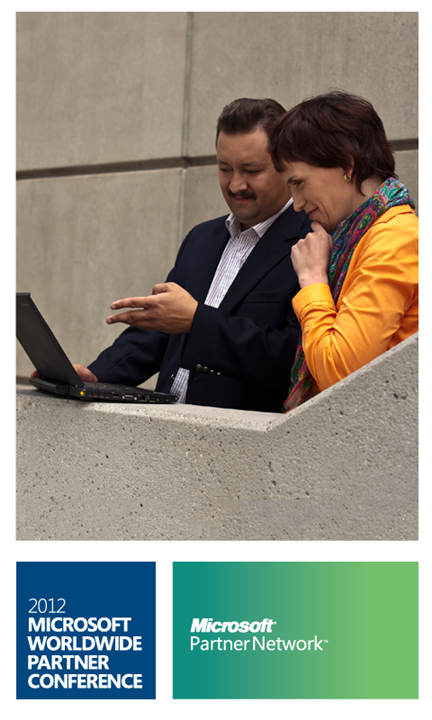 – Explore the Solution Innovation Center. 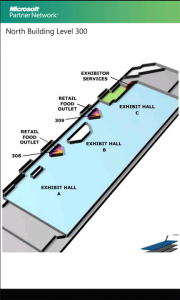 View the floor map and find exhibitor and sponsors. 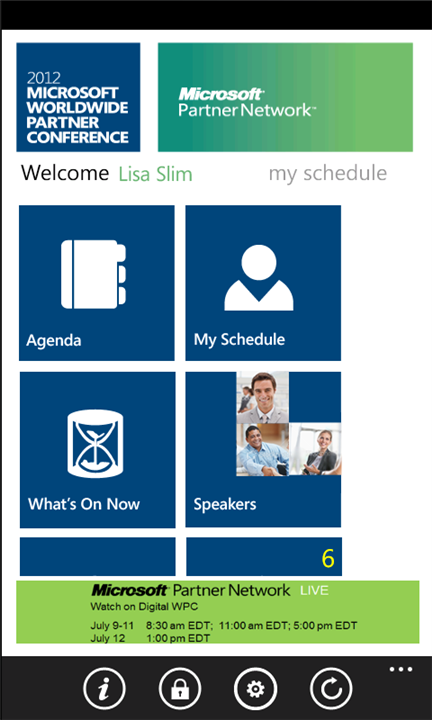 – Send messages and schedule face-to-face meetings with other conference attendees. – Find out more about The WPC Contest and complete session evaluations. – Access important conference information such as venue maps, transportation schedules, hotel information, etc.